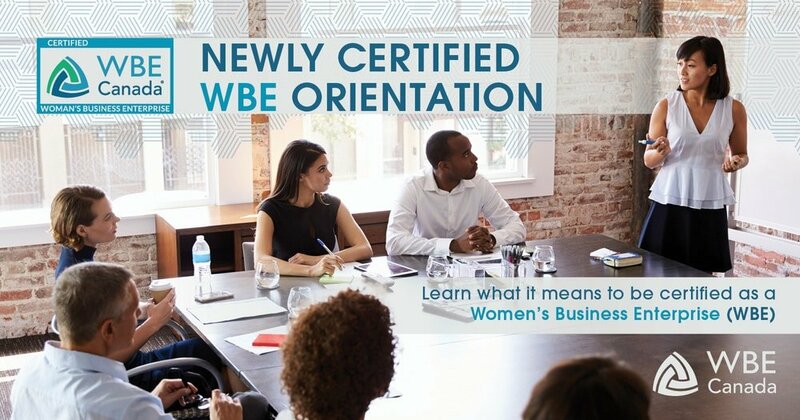 WBE Canada invites newly certified WBEs to an orientation session to learn what it means to be certified as a Women’s Business Enterprise (WBE), how to leverage your certification and tools available to you in WBE Canada. This webinar is also a great tool for our existing certified WBEs to introduce your team members to new or hidden opportunities available to your company. What does it mean to be certified? Link will be sent to all newly certified WBEs via email. If you are already certified and wish to join us, email Judy at jcarswell@wbecanada.ca to request access information. We can’t wait to connect with you! This training was very informative and timely. As a new certified WBE member I truly appreciate that this Orientation was offered to me and other new certified WBE members. I was able to listen in on the Webinar between two meeting time slots which I shuffled to open up this one hour, which was worth it! Again thank you for all the information. I truly look forward to meeting you all soon.